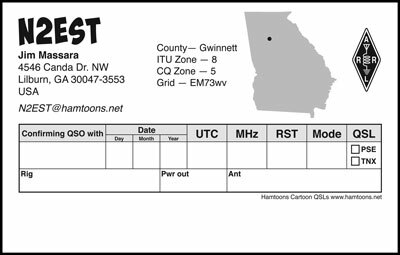 Hamtoons currently offers two different report forms for the back of your QSL. Form 1 is generic but allows room for an address and postage. 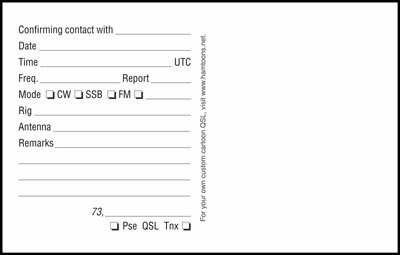 Form 2 can be personalized but has no room for an address or postage — your QSL will have to be mailed in an envelope.